A chalice that breaks a labyrinth seal. old labyrinth when used in a ritual. the wisdom of the eldritch Truth. 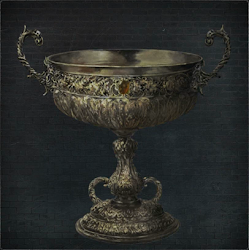 Use Lower Pthumeru Chalice at a Ritual Altar in Hunter's Dream to create the Chalice Dungeon. 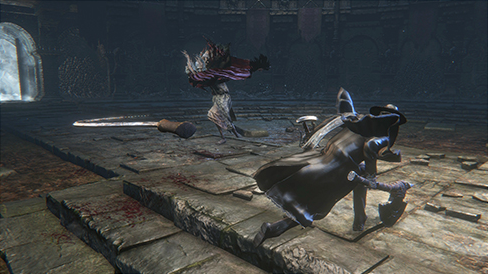 Conducting a ritual to create a Chalice Dungeon is fairly straightforward; when you've got a Chalice and the required ritual materials, approach a Ritual altar and select the Chalice Ritual option. In the Chalice Ritual menu you'll see the list of all your collected chalices in the large window on the left of your screen. Along the top of this window are four tabs, one for each class of Chalice, which affects the area that labyrinth will be set in. The central window shows the details of the ritual, including the Depth of the created dungeon, which is essentially the difficulty level, with 1 being the lowest and 5 being the maximum. The depth affects the required level for certain Basic and Rite Materials. For example, Depth 2 labyrinths will require Ritual Blood (2) and Tomb Mold (2), which can be acquired from the corresponding depth labyrinths or from certain chests and enemies from the previous Depth. 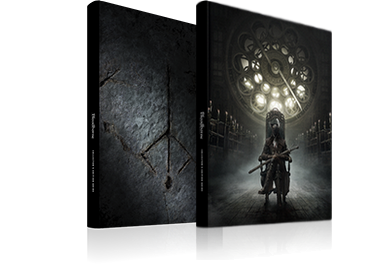 The cost in Blood Echoes is also shown, along with the required materials, both for the ritual and any possible Additional Rites. If you have all of the required materials and are certain you want to use them, select the Conduct Ritual option to create the dungeon. Dropped by (Preset Chalice Dungeon): Pthumerian Descendant in Central Pthumerian Labyrinth Layer Three.